The vacuum pump is the heart of the milking system. A well performing vacuum pump is essential for high milking capacity, good udder health and correct plant cleaning. 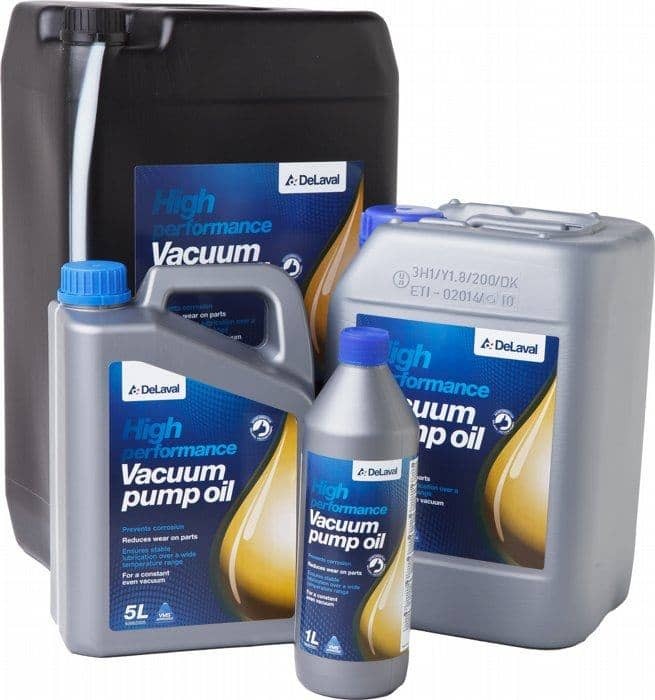 Unlike many other oils, the high viscosity of DeLaval vacuum pump oil means it can deliver stable lubrication over a wide temperature range. This oil prevents rust from adhering to the vacuum pump, stabilizes oxidization, protects against deposits and gives your system a constant, even vacuum force transfer. Good lubrication improves sealing, while reducing resistance and wear of moving parts to minimize related service costs and maximize the vacuum pumps life span.